Gender equity. Hacking mentality. Poking a finger in the eyes of those who try to pigeonhole us into certain “roles.” These are the #techquity issues that run through the Connected World. For today’s Daily Connect, use the Feminist Hacker Barbie site to rewrite the script, and add a new narrative to the pink world of Mattel. 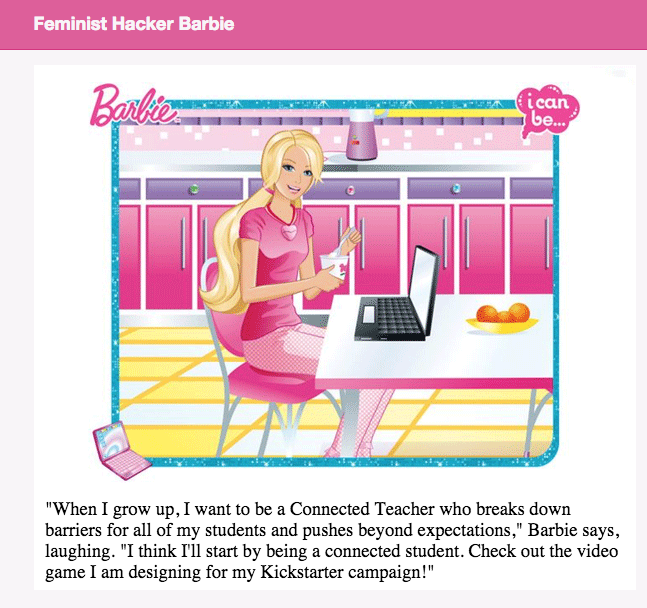 In the spirit of the Connected Courses, try to share what you make with others,and maybe invite a few people to hack Barbie’s story, too, and empower her through story.